We are engaged in the manufacturing and supplying of a gamut of Designer Paper Boxes in Chennai, Tamilnadu. 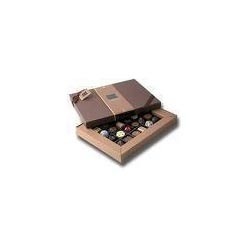 The offered boxes are precisely designed and manufactured by our experts by utilizing high grade raw material and sophisticated technology, in compliance with international quality standards. Before the end delivery, these paper boxes are stringently checked by the quality analyzers on varied parameters to ensure their flawlessness. Looking for Designer Paper Boxes ?